Raiders men’s basketball coach Scott Nagy credits Malachi Smith as the spark the team needed in a recent come-from-behind road win over Youngstown State. 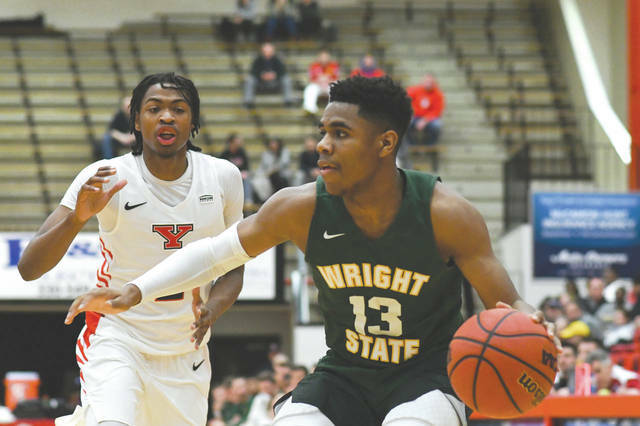 WSU men’s basketball freshman Malachi Smith is constantly working to improve his game, despite recently being recognized as the Horizon League’s freshman of the week. 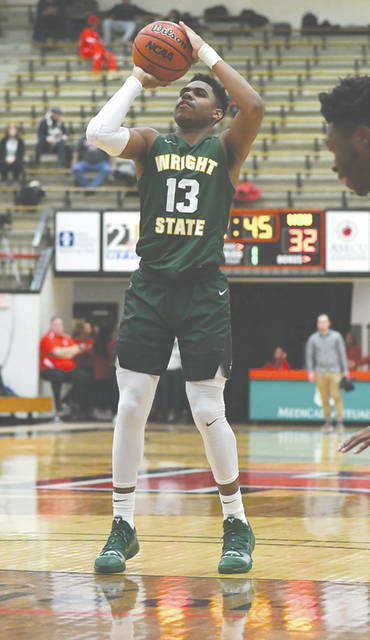 FAIRBORN — Wright State University men’s basketball is in the midst of a key seven-out-of-nine-game home stand as they sit at 11-10 overall and 5-3 in the Horizon League. It was a victorious outcome by WSU on the road, Jan. 17, that could have significant bearing on a turnaround for the squad after an 8-10 start to the season beforehand. After a sloppy first half defensively, WSU trailed Youngstown State 38-45. The Raiders were on the brink of digging a bigger hole in the HL standings with a possible 2-4 record if they ultimately lost. After WSU coach Scott Nagy made his frustrations known during halftime, the team banded together and outscored the Penguins by 13 in the second half for the 80-74 victory. Freshman guard Malachi Smith helped spur the run with 17 points and nine rebounds, while scoring 11 in the final frame. Despite feeling his team’s effort wasn’t quite up to par against YSU, Nagy says there was a positive with the result. It was Smith’s strong outing that propelled him to be named HL Freshman of the Week. He credits the improvements he has made this season to a heightened level of belief in himself. “I’ve been perfecting my craft every day; I’m more confident out there and know that I deserve to be out there,” Smith said. After hearing about the accolade, Smith remained selfless. The Raiders might not quite be the soldiers they want to be yet on the court, but they certainly appear to have some of the soul they’ll need moving forward with players like Smith stepping up. https://www.beavercreeknewscurrent.com/wp-content/uploads/sites/49/2019/02/web1_MalachaiSmith13FT_PS.jpgRaiders men’s basketball coach Scott Nagy credits Malachi Smith as the spark the team needed in a recent come-from-behind road win over Youngstown State. https://www.beavercreeknewscurrent.com/wp-content/uploads/sites/49/2019/02/web1_SmithDribbleYSU_PS.jpgWSU men’s basketball freshman Malachi Smith is constantly working to improve his game, despite recently being recognized as the Horizon League’s freshman of the week. Story by Alan Hieber, with WSU Athletics. Visit wsuraiders.com for more Raiders sports news.